Lovely February, you are welcome in my garden. The Hellebore's are putting on a wonderful show of color during these otherwise, dull, winter days. 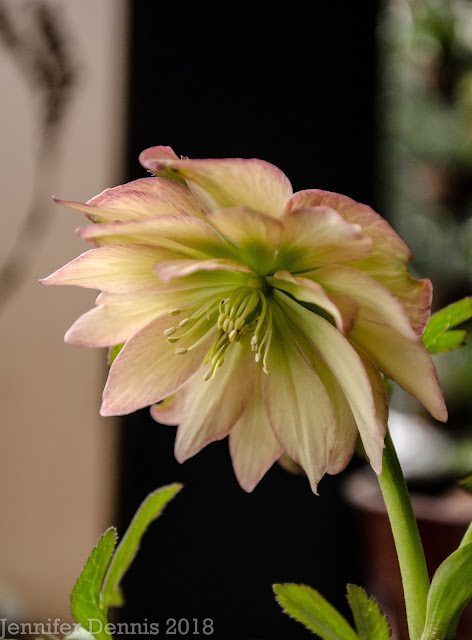 I picked up a second helleborus 'Golden Sunrise' from the winter jewels collection. You can see in the pic below why this pretty, painted, yellow color would be so welcome this time of year. I moved the bulk of my hellebores this past fall season, to a newly reclaimed flower bed that had held a very old (and large) privet hedge. It was quite the project, but seeing all of these pretty blooms, made that difficult endeavor worthwhile. Hellebore's like full sun and I had sadly planted too many of my collection in the shade of taller plants. Now this fully exposed bed will give them the space and light they need to flourish. 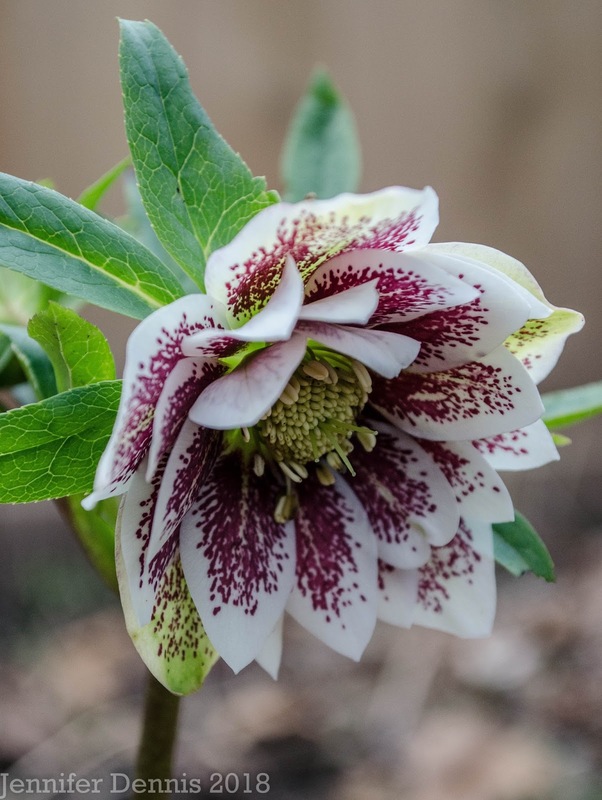 Most of my treasured hellebores are from an Oregon based breeder and grower that sell under their 'Winter Jewels' line. I've visited their gardens and even attended a 'seconds' sale, which was a blast. I've been picking up more of their plants from Portland, Oregon based Xera Plants. 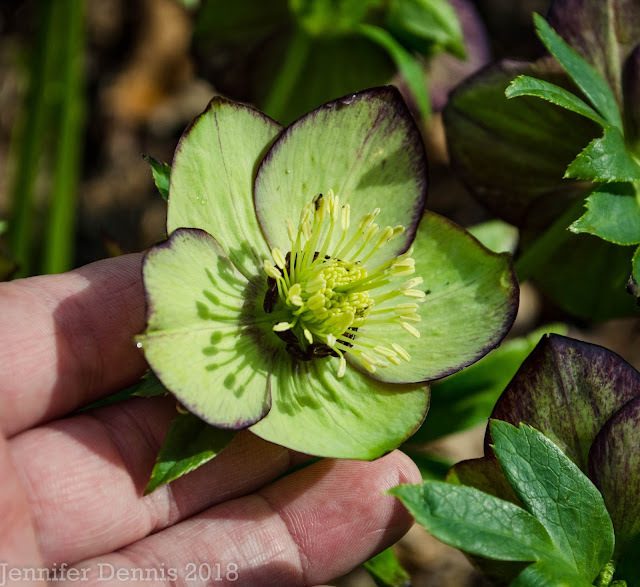 More pretty blooms, but this time from the Spring Promise line of helleborus. 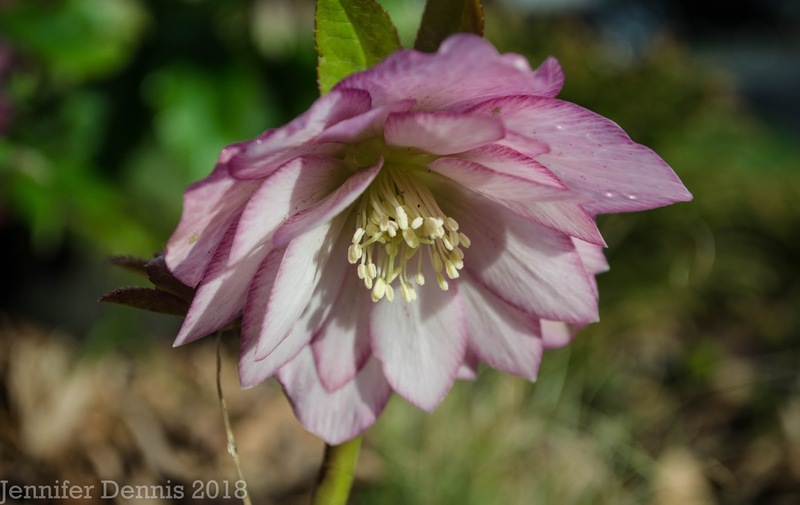 The Spring Promise plants are the first to bloom in my garden every year and they are quite robust, bulking up and pushing up many blooms each year. 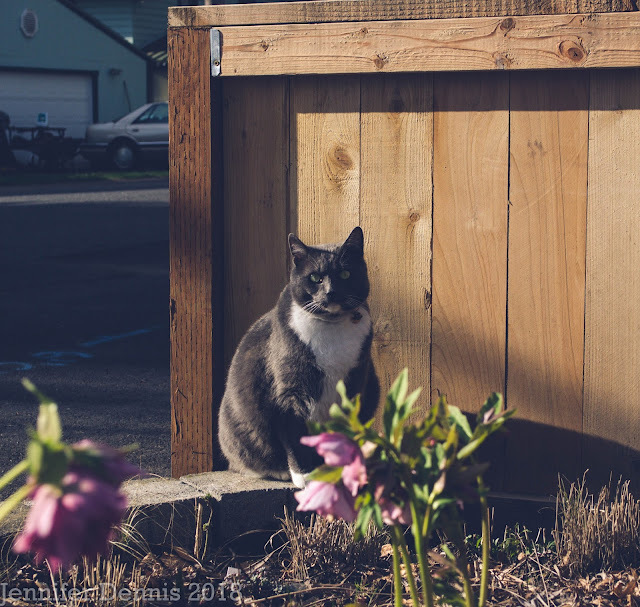 It's Demon Cat...in my new hellebore planter bed. Our old heirloom camila tree is blooming...such a gorgeous bloomer. This year the tree has been packed with blooms. The mild and dry weather this past week has been perfect for enjoying the rose red color. Below is my first manzanita....oh this is going to grow into a pretty little tree. I'm excited for it get larger so that the resident Anna Hummingbirds can really enjoy it during the winter months. Happy Garden Blogger Bloom Day from the great Pacific Northwest! A patch of cold weather is headed for us I'm glad that I got in some garden clean up and photo taking while it was mild. Onward to March! Many thanks for Carol over at May Dreams Garden blog for hosting this fun, monthly meme. 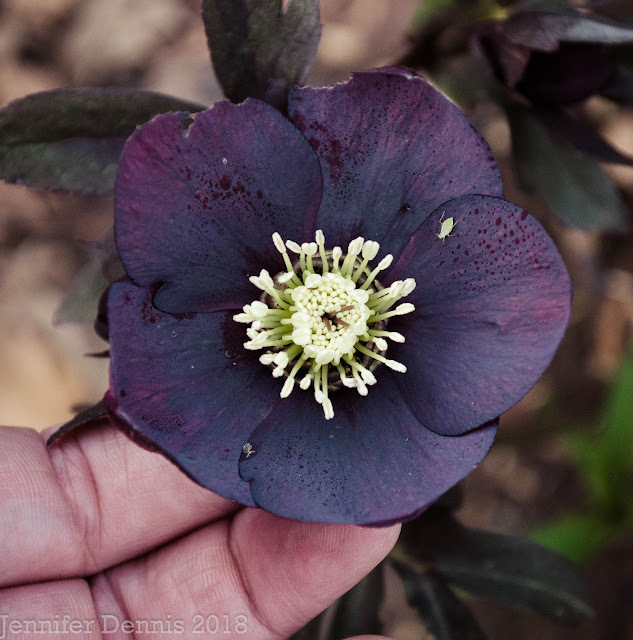 Jenny you have gorgeous Hellebores! I wish I could have these beauties in my garden but unfortunately climate here is too hot for them. 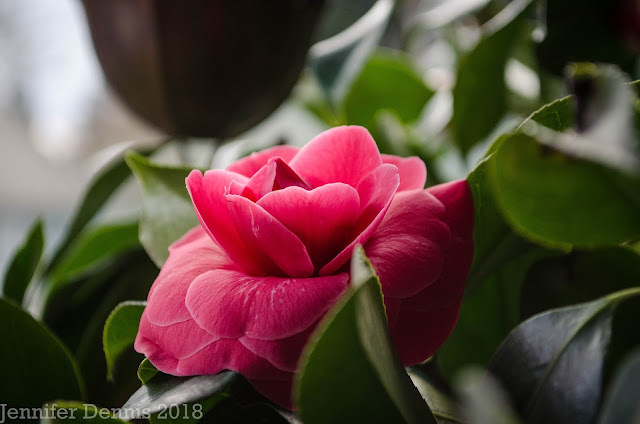 Your camellia is just gorgeous! Camellias are perfect plants, I have 25 of them (counted them yesterday). Greetings from Argentina. Your hellebores are so beautiful! There are so many pretty varieties. I am too having some in my garden and I think that they are very rewarding. Seems like yours didn´t mind being moved at all. Your other plants I like too. I have never tried to grow camellias in my garden (thought that my climate might be too cold), but will give it a try this year. So very pretty! 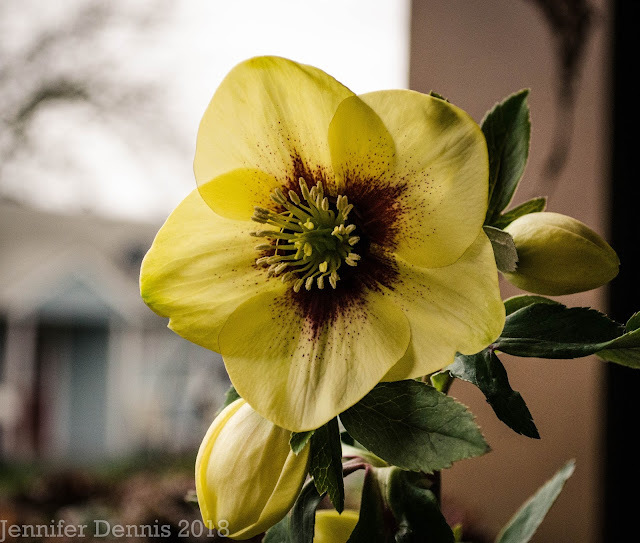 I share your love of hellebores and the cheerful color of 'Golden Sunshine' really does brighten this time of year! 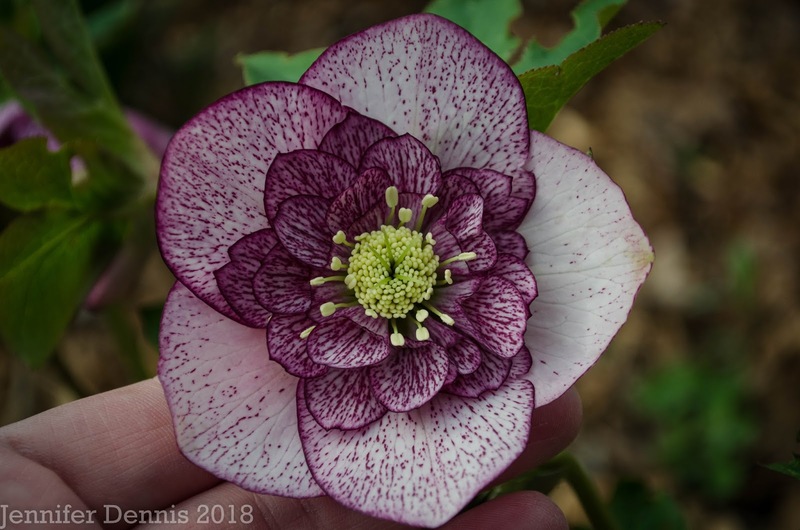 You have some fabulous Hellebores. I moved a bunch of mine together a couple of years ago, but I have more to move still. I like having them all together. Great shot of the Camellia flower. 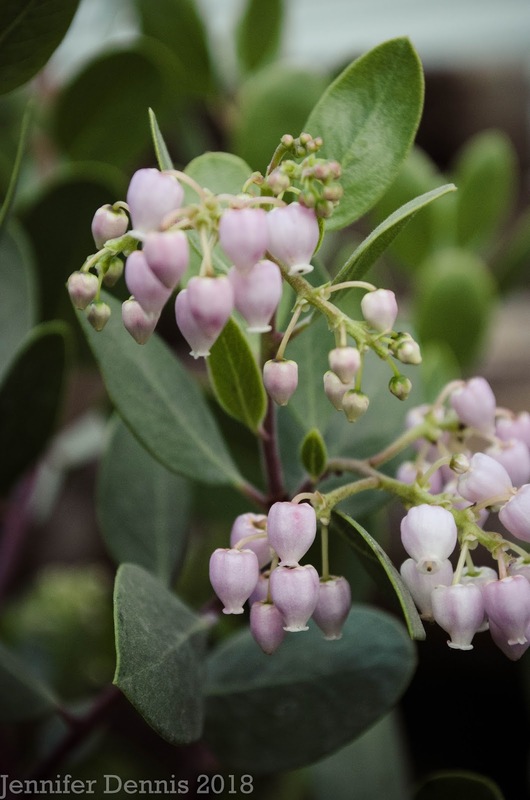 Oh, and you are going to love that Austin Griffiths Manzanita! 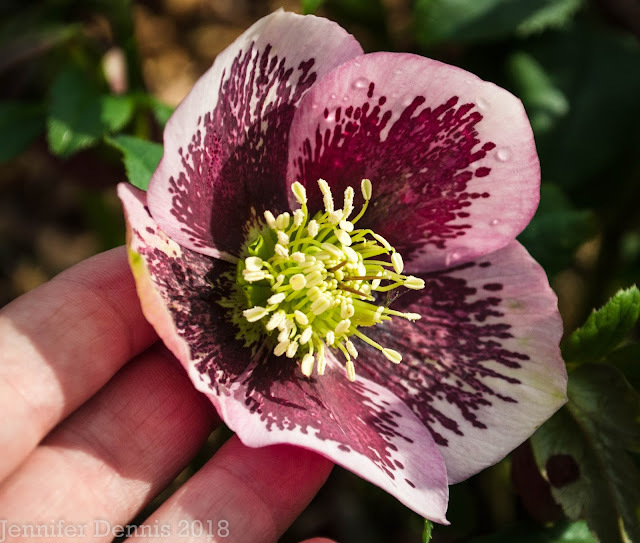 Your Hellebores are all so beautiful! Mine are running a little behind schedule this year, but are showing their wonderful buds. I am in awe over the number of varieties you have. Happy GBBD!! I've always been envious of your hellebores and no less so this year. You're always just a little ahead of me and it pushes the sense of anticipation up another notch. 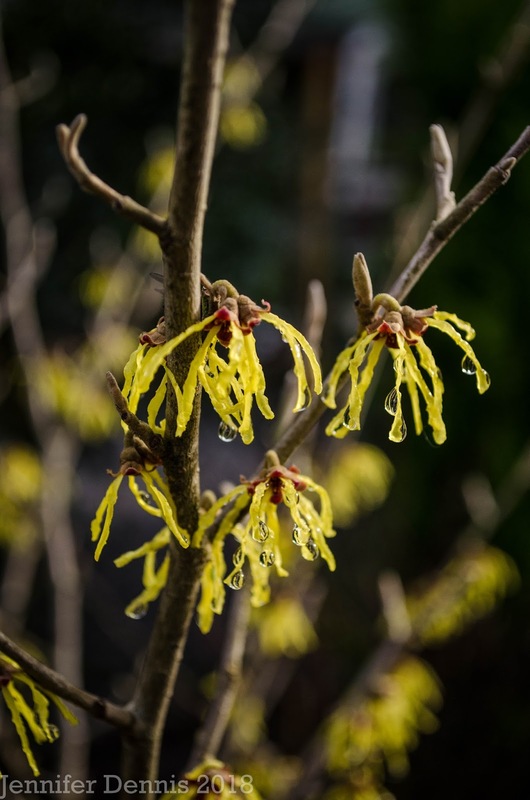 This period of very early Spring is so exciting!